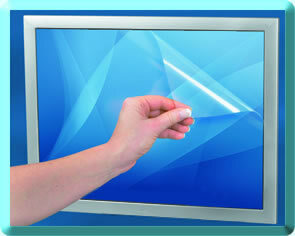 At PosR.us, we know about Point of Sale Touch screen Hardware. After all, we have been in the POS business for the past 40 years! We know that in a POS terminal, the touch screen suffers through more use and abuse than any other part of the system. After all, normal use calls for it to be poked and prodded on a constant basis - and that doesn't include employees using pens and/or long fingernails on the screen instead of fingertips and dropping objects on the touch screen. A single rip, tear, scratch, or gouge can mean the end of a touch screen. It can cause the touchscreen's calibration to be thrown off to the point where it will no longer be useable, or it may simply not function at all. In the end, even a properly used, well-maintained touch screen will become damaged from constant use. Certain areas that get a lot of use - for example, a print key, a cash key, or a sign-in key - will become worn to the point where that area will not respond properly to touches. The only fix is a costly touch screen replacement. Unfortunately, many point-of-sale providers do NOT cover touchscreen replacements, especially not if the damage is caused by "negligence" (in other words, anything that isn't normal wear and tear). And even if the replacement is covered, many companies won't come out to you on a busy Friday night to replace a touch screen, causing your business to slow down until Monday morning. However, touch screen protectors from PosR.us can help you avoid the high costs of replacing a touch screen and the headache of having a terminal not working on a busy night! Our protectors are virtually unnoticeable when installed, yet take the brunt of the damage caused by typical use and abuse. If a protector becomes worn or gouged, you can simply replace with another in minutes. No tools, no headaches, and no high-priced repairs are necessary!